SiDG, the new Slovenian state-owned company joins EUSTAFOR! A new Slovenian state-owned company, Slovenski državni gozdovi d.o.o. (SiDG), has been established by a state forest management law approved by the government on 14 October 2015 and subsequently adopted by the Slovenian Parliament on 2 February 2016. Shortly afterwards the new company was registered (17 March) and Mr. Miha Marenče was appointed by the Slovenian government as SiDG’s acting manager (30 April). 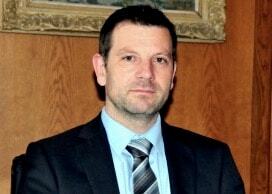 Mr. Marenče has more than 15 years of experience, particularly in the field of forestry. Since October 2014, Mr. Marenče was State Secretary at the Ministry of Agriculture, Forestry and Food, where he was responsible for the forestry sector and for early adoption of the act on the management of state forests. other activities that are directly or indirectly related to state forest lands. Until 1 July 2016, the Farmland and Forest Fund of the Republic of Slovenia had managed state forests. The state of Slovenia had granted twenty-year concessions without public tender in 1996 to 14 former forest holdings, which had already been managing state forests previous to 1996. The biggest differences in forest operations now, compared to the previous system relate to procedures for the sale of the timber (wood is now sold directly to the consumers by SiDG and not indirectly via concessionaires) and to the system of public tenders, which are the basis for the selection of contractors to perform sylvicultural operations in state forests. SiDG has applied for membership in EUSTAFOR and, subsequent to a positive decision by the Executive Committee on 19 October 2016; we are pleased to welcome Slovenski državni gozdovi d.o.o. as EUSTAFOR’s 31st member (effective from 1st of January 2017)!